Fantastic Beasts: The Crimes of Grindlewald – Not The Empire Strikes Back of the Wizarding World! The cast of Fantastic Beasts: The Crimes of Grindelwald – (L-R) Albus Dumbledore (Jude Law), Credence (Ezra Miller), Maledictus (Claudia Kim), Leta Lestrange (Zoe Kravitz), Theseus Scamander (Callum Turner), Tina Goldstein (Katherine Waterston), Newt Scamander (Eddie Redmayne), Jacob Kowalski (Dan Fogler), Queenie Goldstein (Alison Sudol), Gellert Grindelwald (Johnny Depp) – Photo by Mark Seliger/Courtesy of Warner Bros. Pictures. The second chapter in the Fantastic Beasts Quintology is fun – mostly because of the beasts and the relationships. It could have done without so much Grindelwald (one of Johnny Depp’s least distinguished efforts). A Question of Identity Trailer: HBO’s The Young Pope! ‘Who are you’ an off-screen voice asks the new Pope (played by Jude Law). ‘I’m a contradiction,’ comes the answer. It seems that the Vatican (and the world for that matter) have no idea what they’re in for. Check out the new teaser for HBO’s The Young Pope, premiering in 2017, after the break. Side Effects Is Typically Twisty Soderbergh! If Steven Soderbergh has really left filmmaking for good, he is definitely going out on a high note. 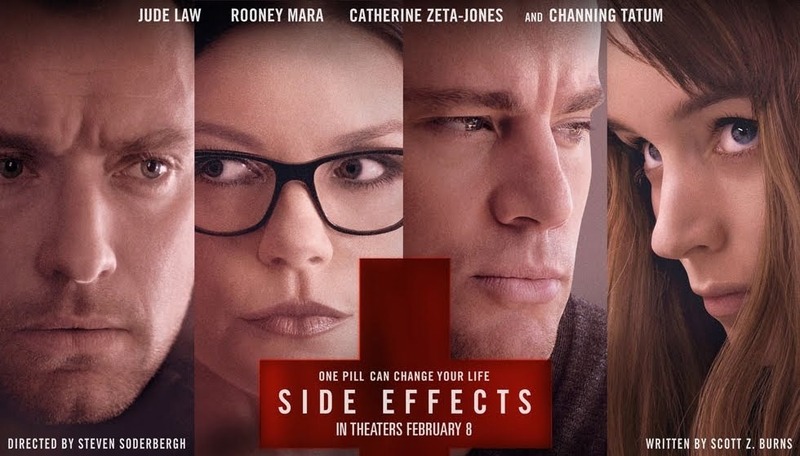 Side Effects is a twisty piece of fun that swerves from apparent satire – about our heavily medicated culture – to thriller without missing a beat or ever losing its psychological edge. ‘Contagion’ opens in theaters on September 8th. 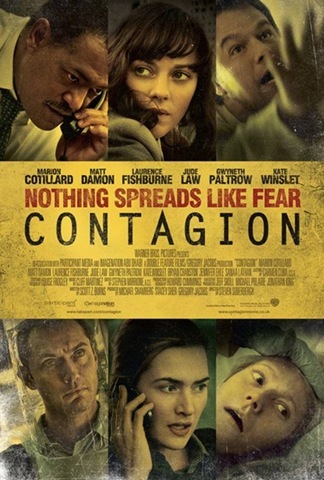 The tagline for Warner Brothers newest theater release ‘Contagion’ is “nothing spreads like fear” and this movie relies heavily on that truism as its plot line. 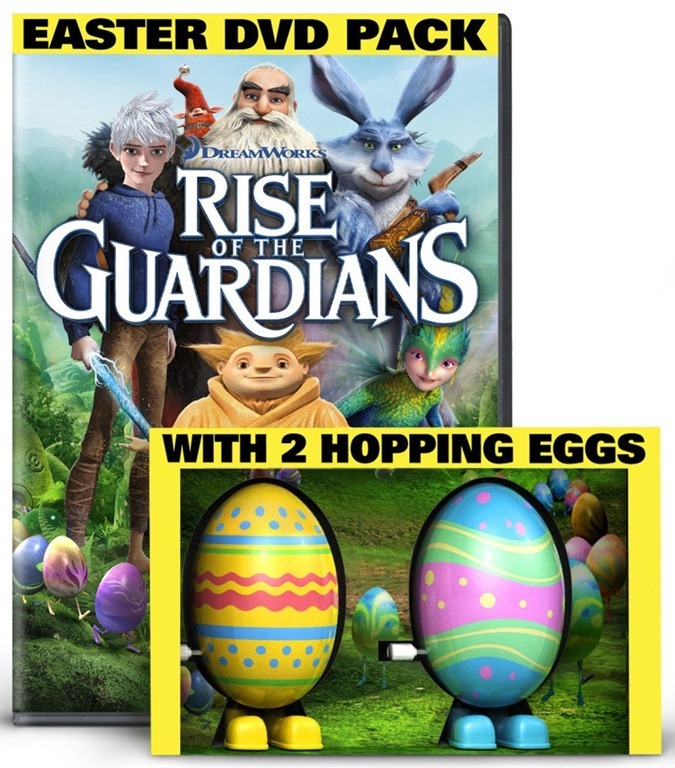 The first half hour of this star-studded movie plays out like an extended version of commercials for every disinfectant product you can think of. Like those commercials, ‘Contagion’ is filled with warnings about the horrors of touching everything and everyone around you. For me, the problem with ‘Contagion’ and its premise is that, for the most part, it takes a very sanitized look at those horrors. Instead of throwing in some good old fashioned suspense and visual effects, the movie plods along at the pace and style of those documentary movies you used to see in science class in high school. I half expected to be informed at the end of the credits to stay in our seats because there was going to be a test on what we learned. 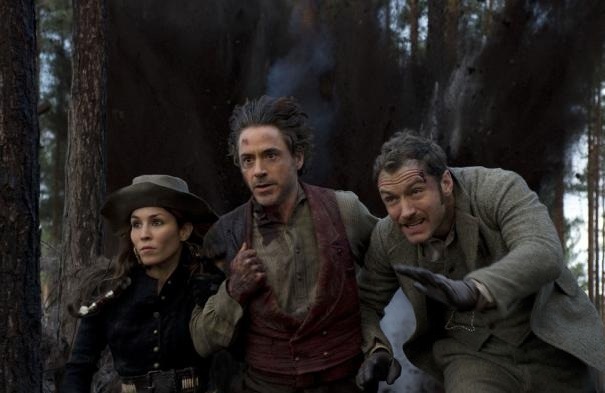 MOVIE REVIEW: Sherlock Holmes – An Engaging Trifle That Mixes The Supernatural and Steampunk! Let me be perfectly clear – although I’ve read the Holmes canon several time, and fifty or sixty [or so] of the multitudes of Holmes pastiches, I am not a Baker Street Irregular. 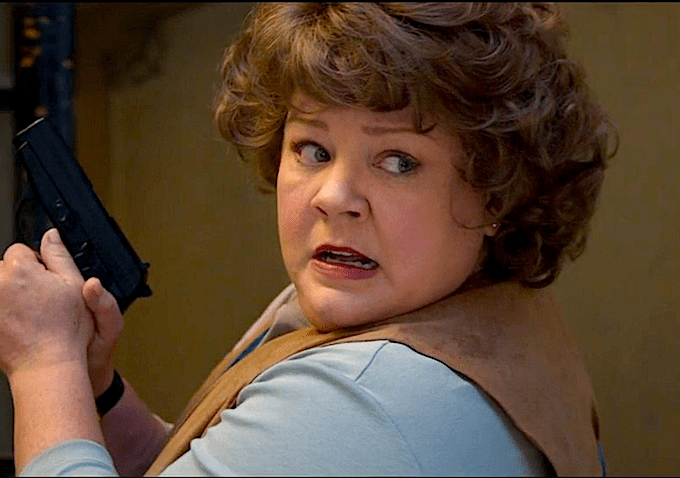 Still, I would imagine that most Irregulars would find much to enjoy about Guy Ritchie’s take on Sir Arthur Conan Doyle’s immortal creation – but they would likely also [like me] find some jarring errors that do, indeed, detract from what is, essentially, a fun diversion. 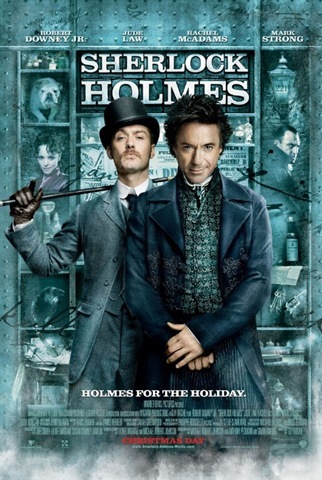 One of the more egregious goofs concerns Dr. John H. Watson’s [Jude Law] first wife, Mary Morstan [Kelly Reilly], whom Holmes meets – in the canon, at least – while in the company of the good doctor. Not so here – though, as if to make up for that blunder, Ritchie’s Morstan has the kind of steel to her that attracted Watson in the canon.